Deaf, hard of hearing, Deafblind, and hearing United Methodists observed and celebrated Deaf Awareness Week during the last week of September. 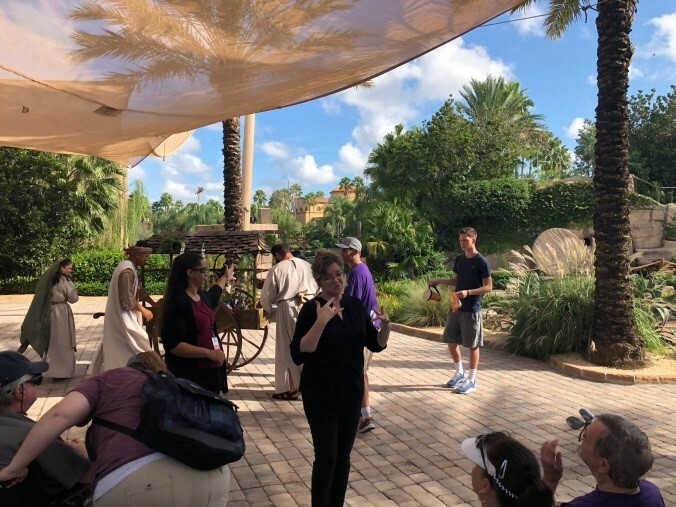 Members from various United Methodist churches in the Florida Annual Conference celebrated by gathering and touring the Holy Land Experience, an amusement park in Orlando on September 29. 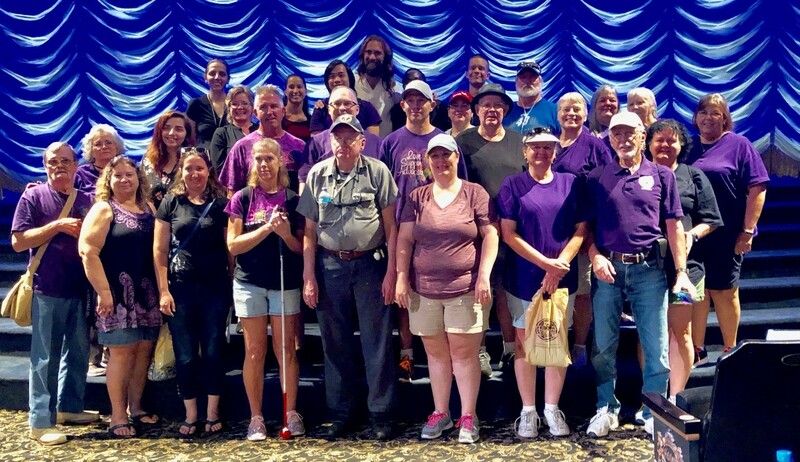 They gathered for a time of education, fellowship, and fun. 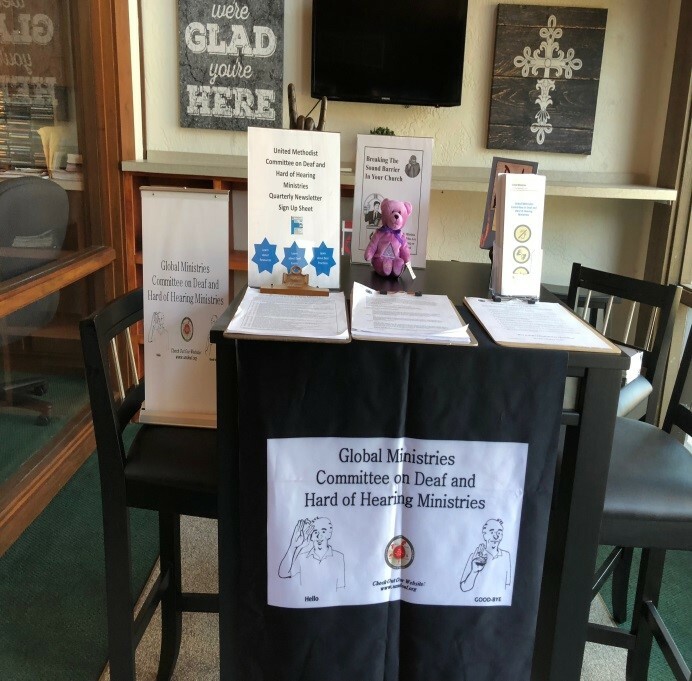 The group coordinator, Mary Harris, an interpreter from Conway United Methodist Church, organized the event as a part of their church’s observation of Deaf Awareness Week. 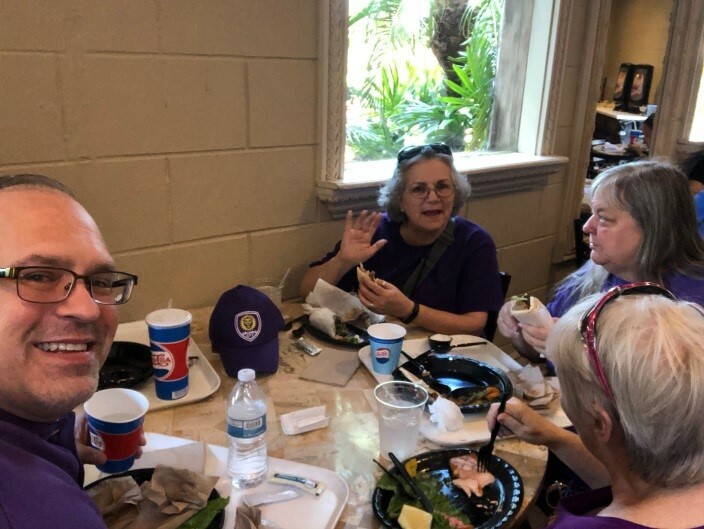 At Conway, Deaf ministries are considered an extension of the Deaf community; also present were Deaf and hearing congregants from St. Andrew UMC of Titusville, Pine Castle UMC of Orlando, and Conway UMC of Orlando. Several people served as support service providers (SSPs) and guides for the Deafblind participants. 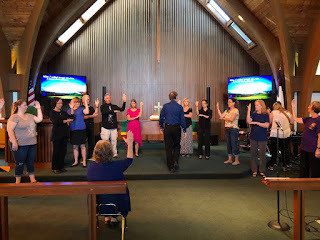 The celebration continued on Sunday, September 30th, when visitors from various churches and ministries worshipped together at Conway UMC to celebrate Deaf Awareness Sunday. This last Sunday of September is recognized as International Day of the Deaf. 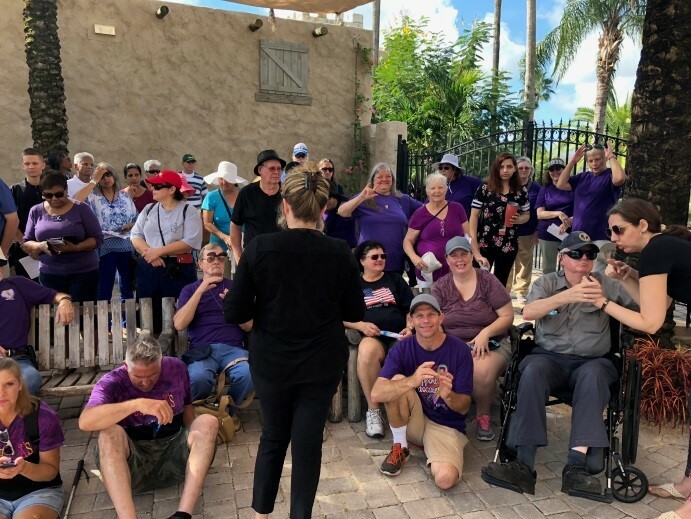 Billy Deters, the president of United Methodist Congress of the Deaf, a recognized caucus of the denomination, was on hand along with his family to participate and worship. 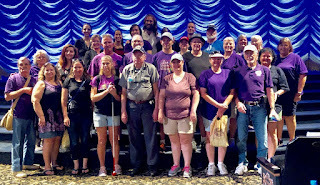 Deaf, Deafblind, hard of hearing, and hearing members from various Deaf ministries and from the community made up the signing choir. A feature of raising Deaf awareness was when a Conway member taught and led the congregation the song, “What a Friend We Have in Jesus.” Conway’s pastor, the Rev. Dianne Davis, was on hand to encourage and assist with worship, which included her leading the pastoral prayer. 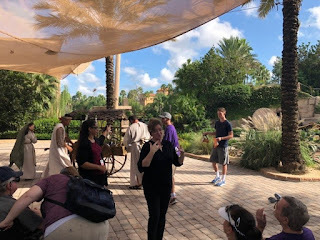 Mary Ann Deters, a Deaf member of St. Andrew UMC of Titusville, taught the children’s message, based on 1 Corinthians 12:12-27, highlighting equality of the members of the body of Christ. The church had Deaf and hearing members to serve as ushers and greeters, which included bulletin inserts of the ASL manual alphabet. Dennis Cody, a Deafblind member of Conway, prayed over the offering. The Rev. Leo Yates, Jr., a consultant of Global Ministries’ Committee on Deaf and Hard of Hearing Ministries, was the guest preacher. At the conclusion of the sermon, Mary Harris was recognized for her planning efforts and her dedication to Deaf ministry. 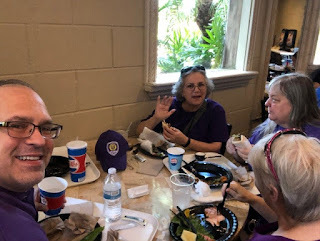 Whether you’re Deaf, hard of hearing, Deafblind, or hearing, we all share in the same enjoyment of a potluck lunch, a common feature of United Methodism. This was certainly true on this special Sunday as most gathered after worship in the dining hall for lunch. 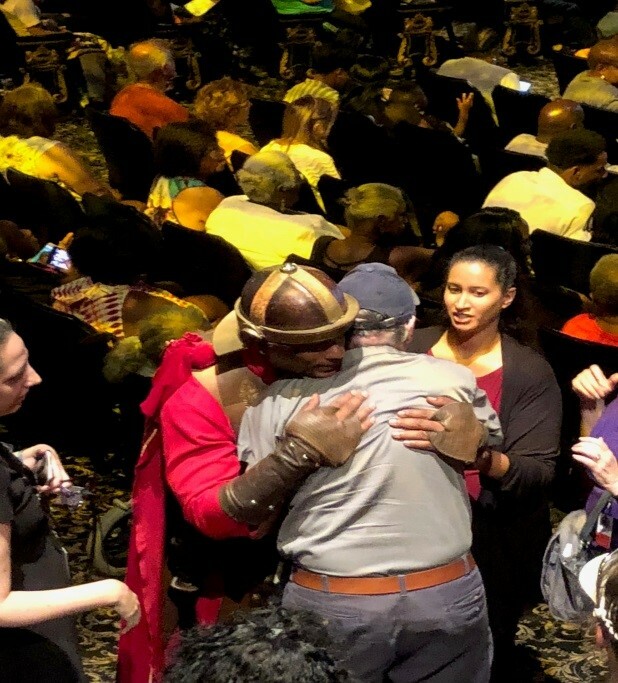 Observing and celebrating the gifts of all people, including Deaf, hard of hearing, Deafblind, and hearing people alike is a faithful expression of what the Apostle Paul wrote in his letter to the Romans. “Therefore welcome one another as Christ has welcomed you, for the glory of God” (Romans 15:7). 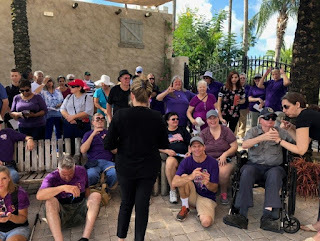 The worship service led by Deaf, hard of hearing, and Deafblind persons exemplified their leadership ability. 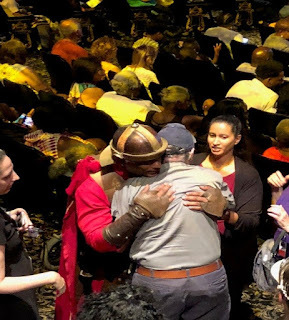 Whether it’s for social justice reasons or for diversity reasons, it’s the right thing to do that we include ALL people and their gifts for servant ministry. 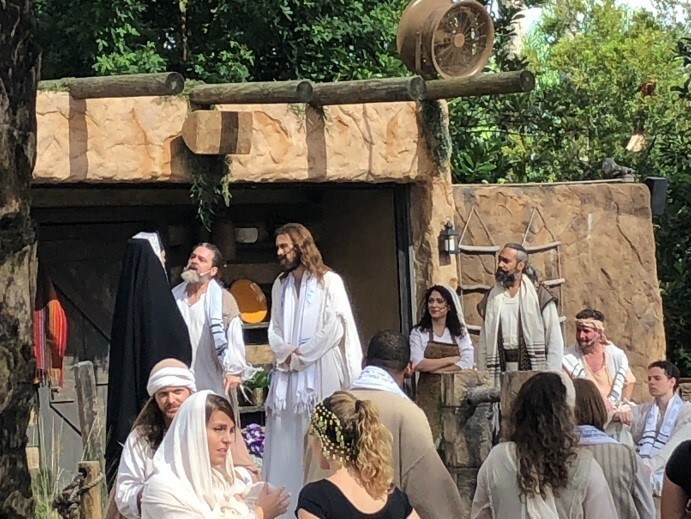 Some of the audience viewing the Biblical drama.